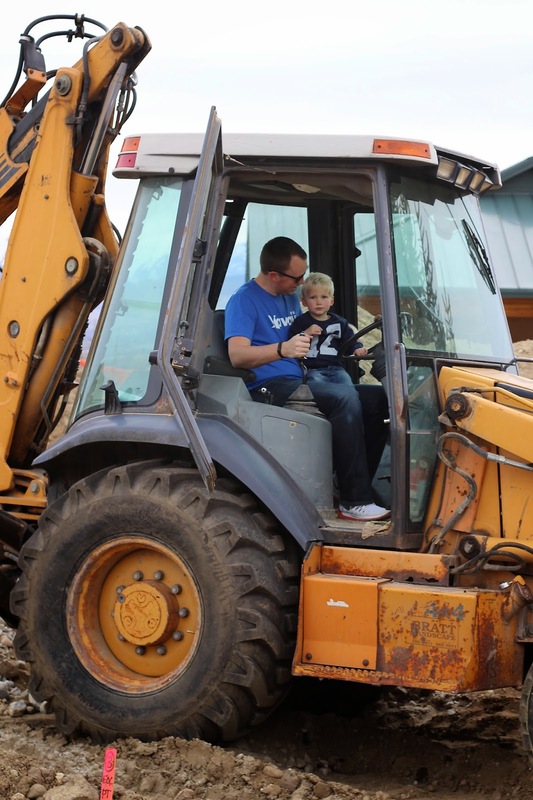 There were excavators, skid steers, bulldozers, & backhoes! An absolute dream! And we pretty much just let Liam have at it! His eyes were wide open in pure awe of the moment. It was pretty incredible to be a part of. I'm so glad Conor convinced me to join in this adventure, because typically I'm a rule follower... And this was definitely breaking the rules! He's always had quite the love for construction, but a new library book exacerbated it recently! I had read Where Do Diggers Sleep at Night? for every single nap time & bedtime for two weeks straight before it was due back. Liam tends to go on book binges, and we read the same two books every single day until somehow we manage to sneak a new one into the mix. The new favorite is Katy and the Big Snow . Still tolerable; mostly because I really like snow! My sweet boy has taught me far more about every type of vehicle than I ever imagined I would know! I love helping him look out for things while we are driving (cherry pickers being the current obsession). He gets me excited about new things & helps me appreciate even the simplest moments. This particular Sunday was good to us! I'm already wanting many more. Perhaps this will become a new tradition... And now I'm officially a rule breaker! Pretty badass! You are a badass lol! Noah would love this! And we read "Where Do Diggers Sleep At Night" every day too! Noah is obsessed with pointing out the "baby" and "mama or dada" on every page! Oh, how we love construction books here! My all time favorite is "Mighty dad's" (LOVE). Another favorite is "Goodnight, Goodnight Construction Site." Goodnight, Goodnight Construction Site is probably my all time fav! I haven't heard of Mighty Dad's, but will probably order that immediately! Yes..Mighty Dads...our little Carter wants that one EVERY night...and it's so catchy that he practically can "read" the entire book now himself! This must have been just an absolute dream for Liam! Such fun parents you are! No way!! I bet Liam was in HEAVEN!! What a perfect Sunday- breaking the law, enjoying time as a family, etc ;) HA! I'm just teasing!! You guys really are the coolest parents! Oh my goodness, these are so cute. I love lil Liam on the equipment, a lil man's dream. This looks like so much fun! I'm with you though, I'm a total rule follower and would probably have spent the entire time on "lookout". ha. We have that book too and Wyatt enjoys it. This looks like so much fun!!!! 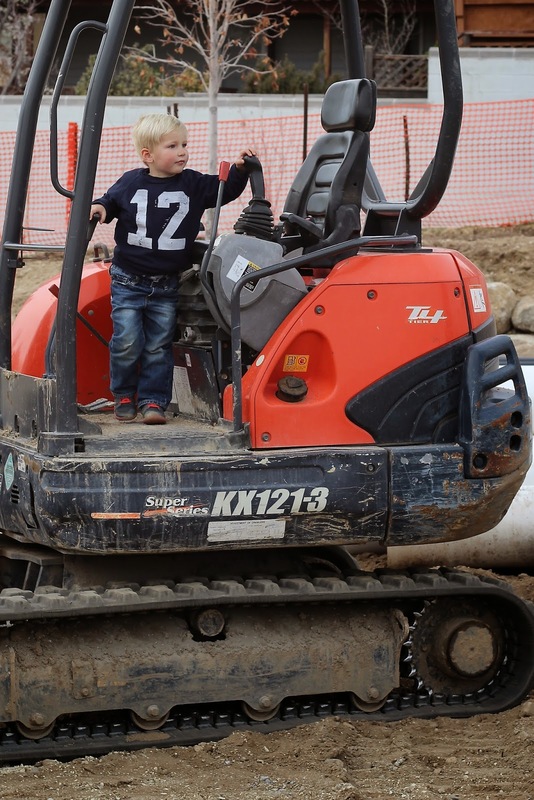 Actually when I saw your pic on IG that one day, that made me think that I should take Mason out to see the construction vehicles while they are digging up our street. These ones are WAY more cool than ours and Mason was in awe of the one we saw. Sounds like we need to find a construction site to break into also! Oh, this is so cute! 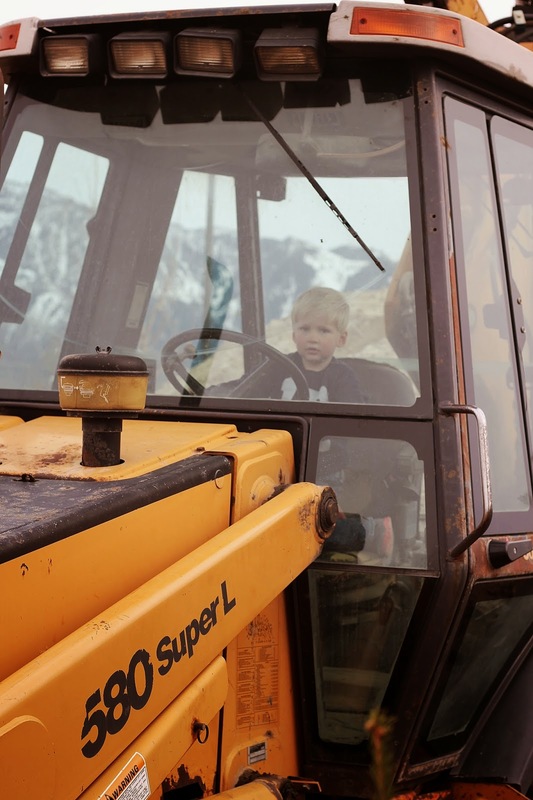 Mac loves tractors and diggers more than anything (other than the garbage truck). Some of the local communities have "vehicle" days where they have a ton of tractors, buses, firetrucks, etc. out for the kids to climb in and play around on. We went to one last summer and I thought Mac would die of happiness! These boys are just too funny! So fun!! That had to be amazing for him!